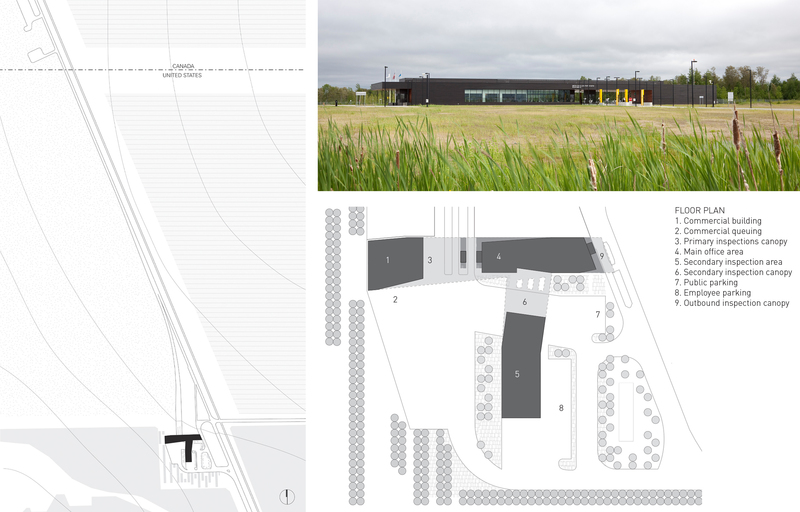 A Land Port of Entry project must span the distance between GSA’s Design Excellence aspirations for architecture that represents “the finest in contemporary American architectural thought” and Customs and Border Protection’s pragmatic aspirations to secure national borders. 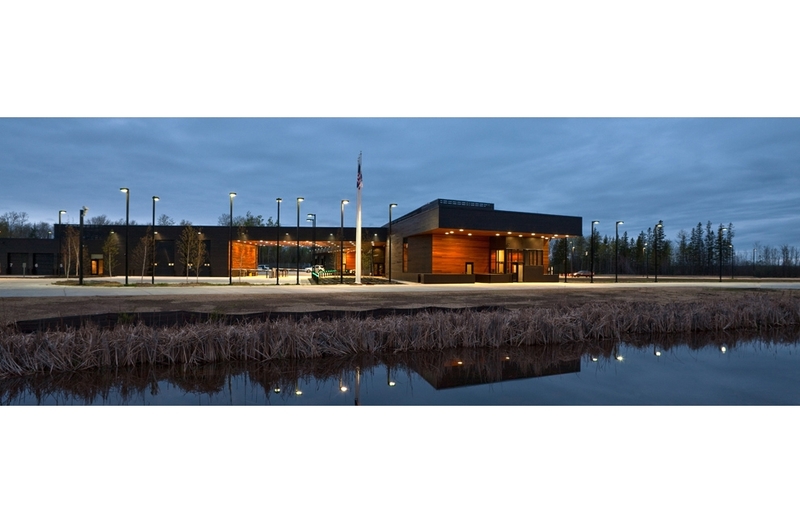 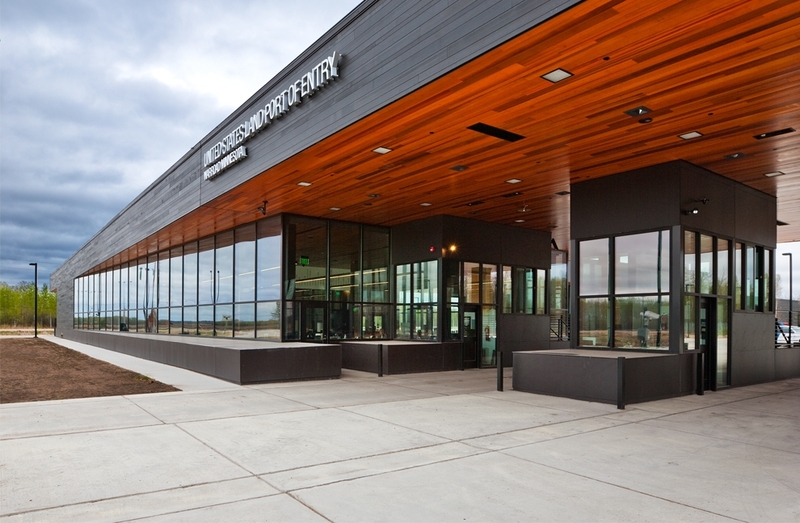 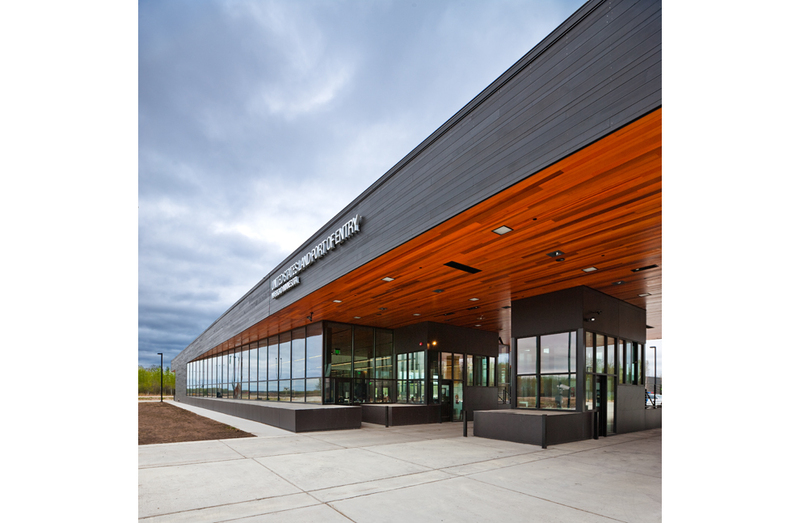 The Warroad design is attentive to the safety and comfort of CBP officers providing a canopy that continuously covers their work area, while providing a warm welcoming portal to the United States. 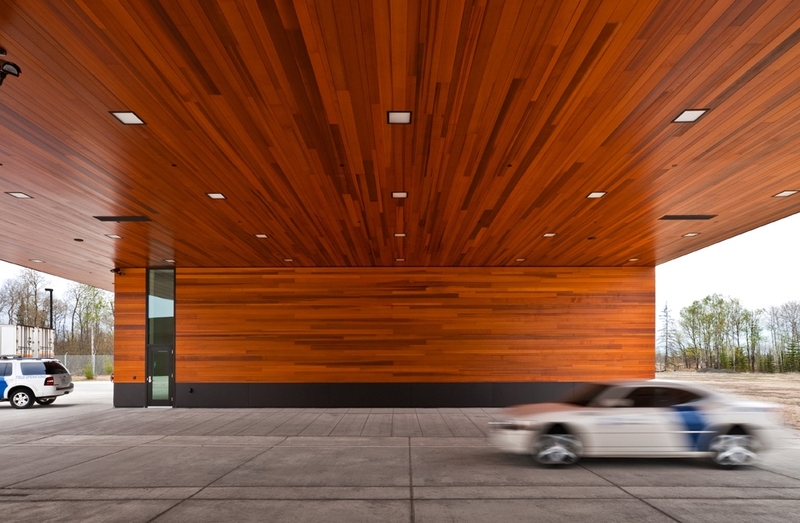 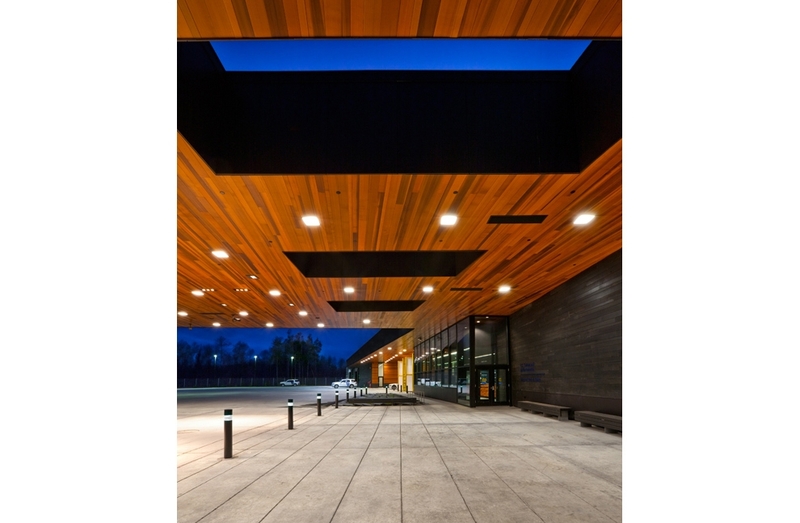 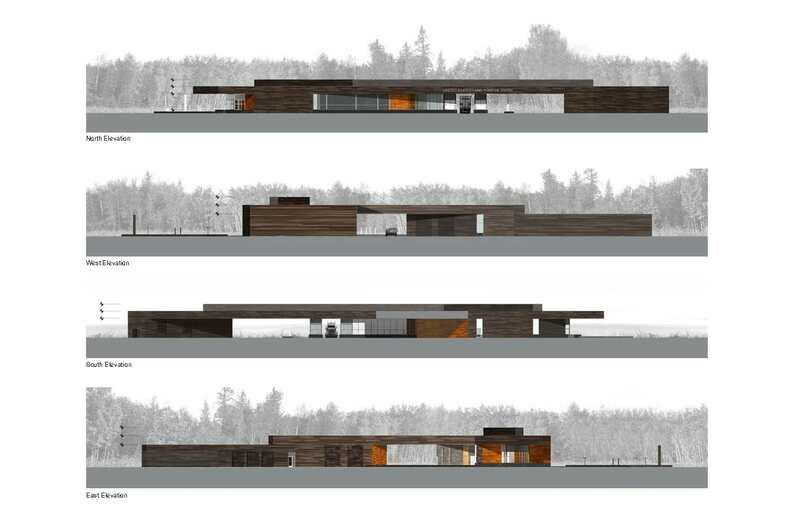 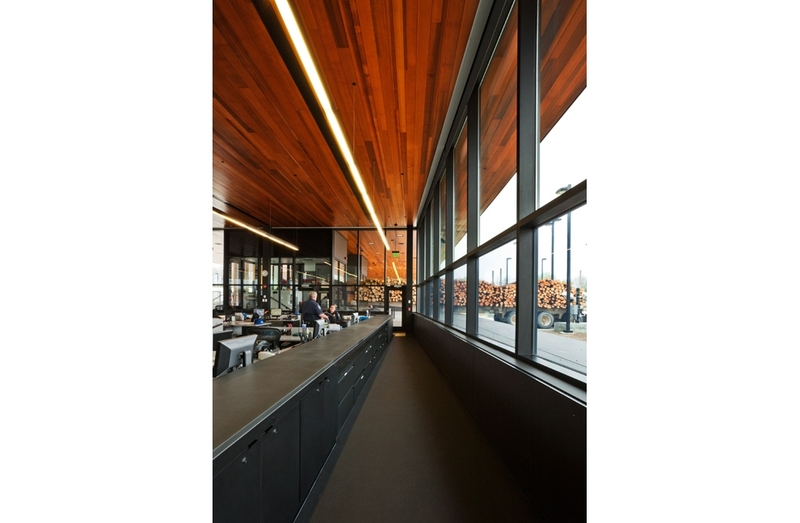 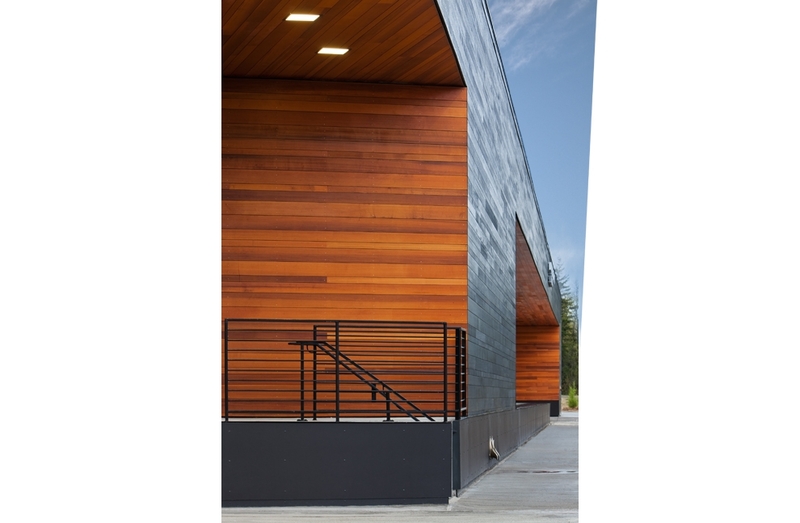 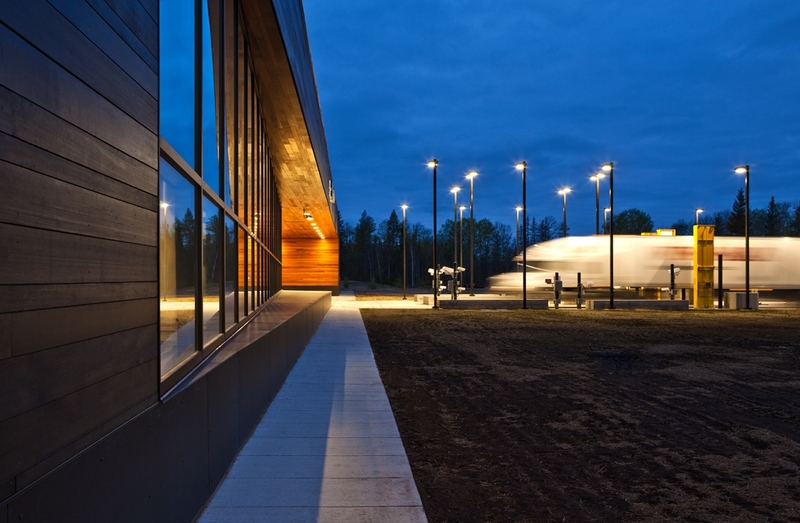 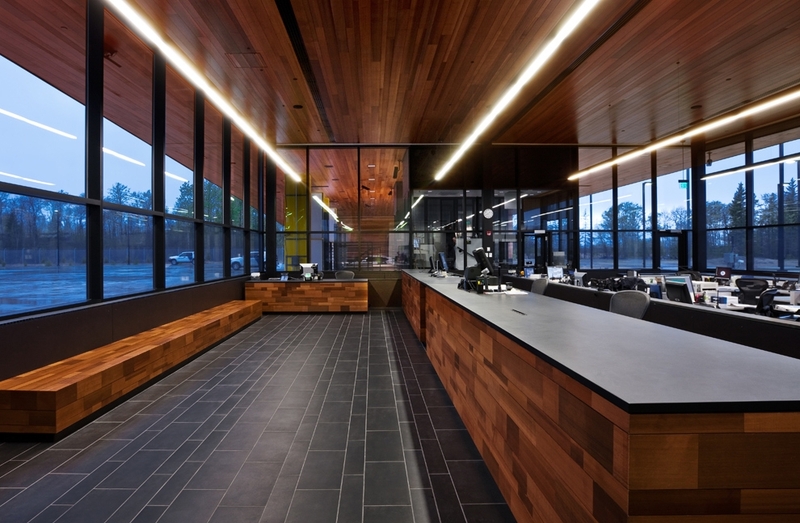 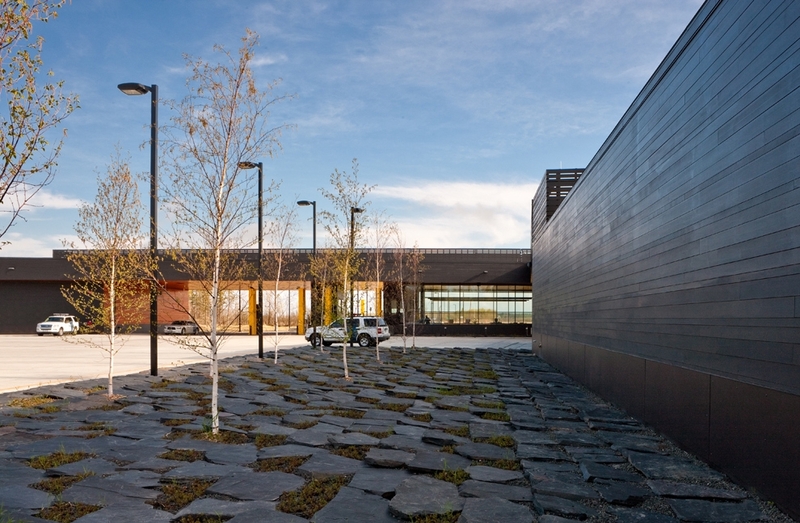 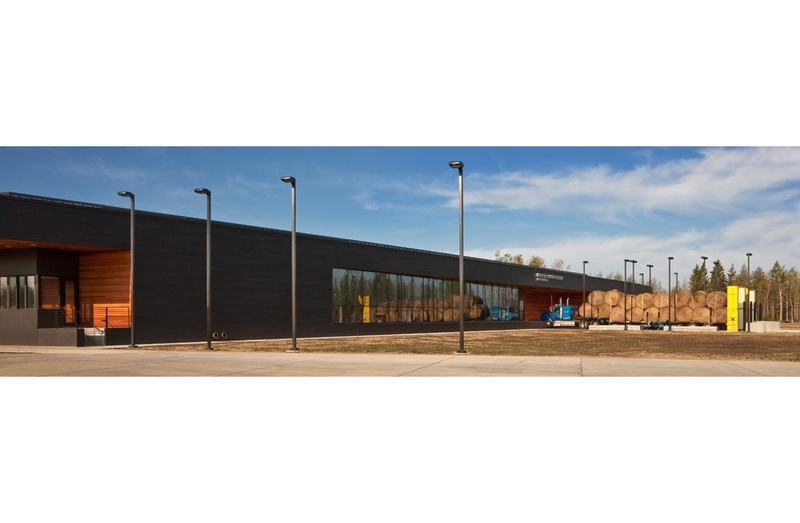 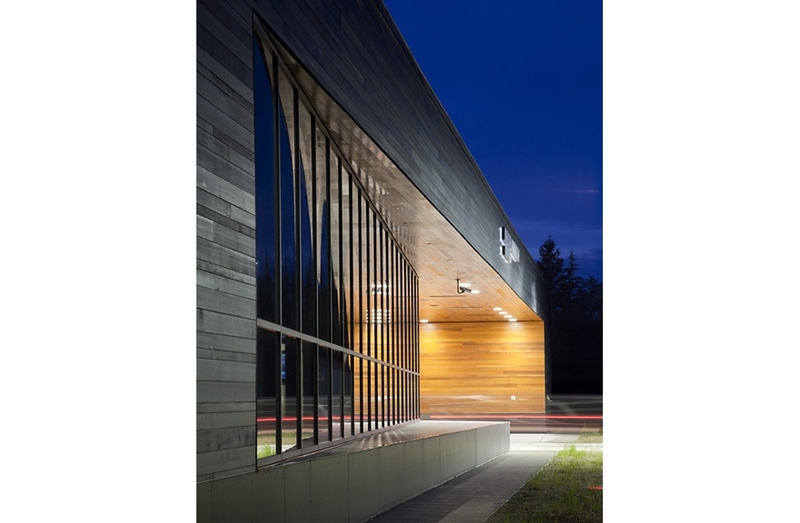 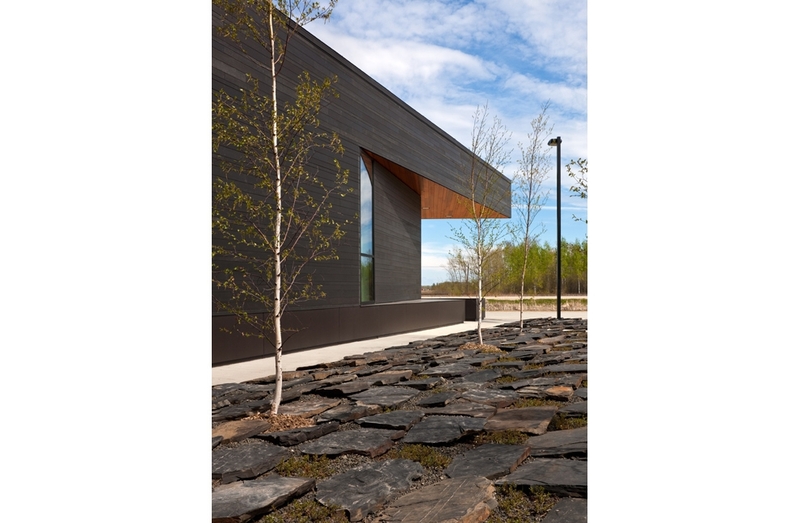 The design concept began with creating a black shell, anchoring the building in the vast landscape, with portals through the port lined in warm heartwood. 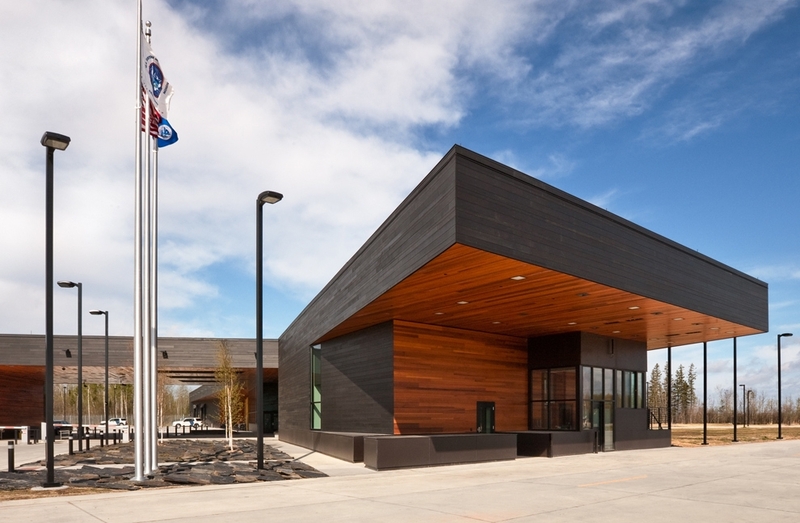 Building volumes are inflected, increasing officer’s visual site surveillance. 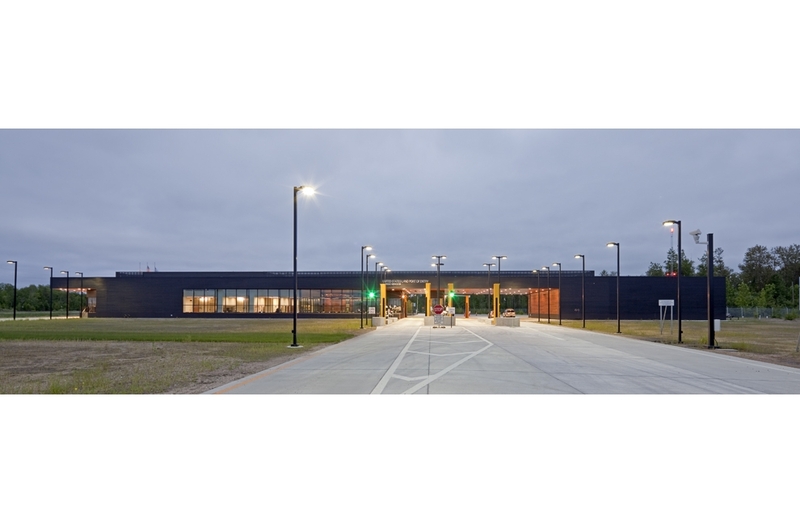 This is the first US land port to employ a ground source heat pump systems, reducing the government’s purchase of energy by 50%.